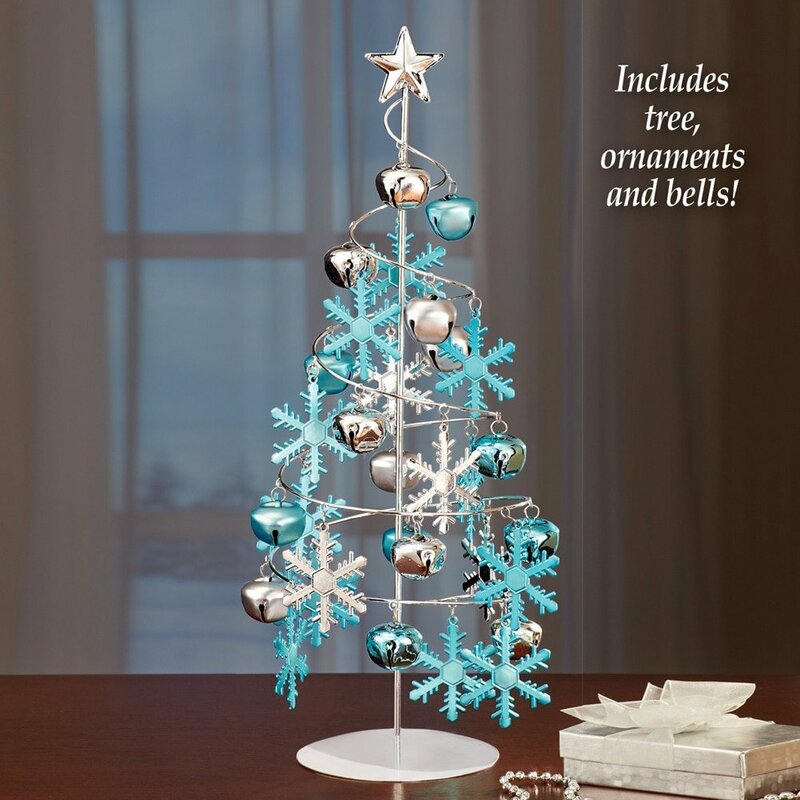 This elegant and sturdy spiral wire ornament tree has a beautiful scallop design all along the wire so that you can hang up to 80 ornaments on this 3 foot tall tree. Available in an Antique Gold or a Black finish to complement any decor. A solid star sits on the top of the tree for that finishing touch! Arms come out from the center trunk to stabilize the wire and keep your ornaments safe and secure. Tree measures 12" in diameter and 36" tall, and weighs 3-1/2 pounds. Spiral is made of steel wire. Minor assembly required - See detail photos for instructions.